Two theories of organizational behavior, namely agency theory and stewardship theory, have frequently been used to explain the unique aspects of family firms. Though these are opposing theories, both study some of the same dimensions of family business i.e., behavior, governance and performance outcomes. In this article, the authors reviewed 107 papers published in 24 journals during 2000 – 2014 that referenced these two theories in the family business context. Synthesizing the papers, the authors present a framework explaining how the two theories distinctly analyze family firm’s behavior, governance and performance outcomes from opposing perspectives. Agency theory is based on the principal-agent relationship, which is the owner-manager relationship in the family business context. It suggests that individuals are driven by economic motive; they behave in opportunistic ways and work to maximize their own returns even at the cost of causing damage/loss to the organization – termed as agency cost. The agency theory perspective advises family firms to structure governance mechanisms that monitor and incentivize checking of opportunistic behavior, shirking responsibility or free-riding. This minimizes agency costs, thereby improving firm performance. On the other hand, stewardship theory is based on the humanistic model, which considers managers as stewards with intrinsic desire to serve the firm and thus, naturally align with the principal (owner). They work in a pro-organizational and collective manner serving the interests of all stakeholders. Stewardship theory suggests governance mechanisms based on trust that cooperate and involve everyone so that a natural alignment of the manager and the owner is achieved. This leads to wealth maximization, thereby contributing to firm performance. Table 1 in the paper shows a concise summary of these two theories. Agency problems may exist in family firms on both behavioral and governance dimensions. For instance, on the behavioral dimension – relationships among family managers may create problems of piggybacking or moral hazard. Misaligned shareholder objectives or opportunistic behavior of diversion of resources may also cause agency problems. On the governance dimension, agency theory suggests establishing mechanisms that check opportunistic behavior. Family firms have been found to setup monitoring and incentive mechanisms to direct managers towards desirable behaviors. However, their unique governance challenges can lead to agency issues. For instance, controlling family dynamics and conflicts is difficult and can render monitoring ineffective. Excessive emotional attachment can lead to poor business decisions that may go unchallenged. Family firms have been noted to exhibit stewardship behavior. 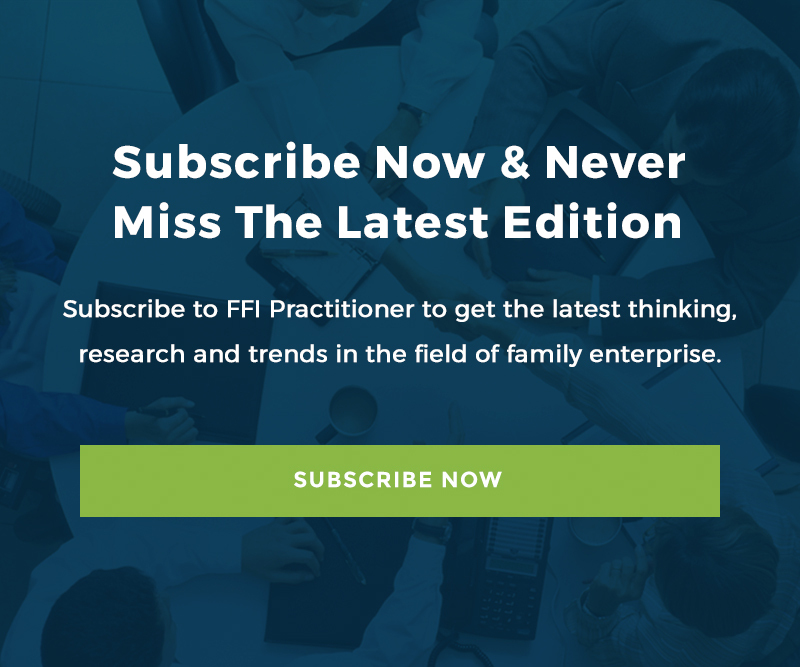 Intrinsic motivation, trust and commitment have been found to be higher in family firms compared to their non-family peers. Family firms are also characterized by parental relationships, family bonds and reciprocal love and respect between the leader and other family business members. All of these may contribute to stewardship behavior among family business managers. Compared to control-oriented governance mechanisms, stewardship governance systems provide authority and discretion to managers. Involvement-oriented approach and collectivist culture allow family firms to follow stewardship governance. As a result, family firms have been found to have: (i) participative managements, (ii) diverse perspectives in decision-making, (iii) strategic flexibility and (iv) nurtured managers for long durations. Stewardship governance mechanisms promote cooperation, empowerment and pro-organizational behaviors which positively influence firm performance outcomes. Thus, according to the authors, family firms exhibit characteristics of both agency and stewardship theories that influence their performance outcomes. Therefore, family firms need not be looked at from either one lens or the other. The authors call for a more sound and comprehensive theory of the family firm that may include other conceptual constructs like socioemotional wealth (SEW). The authors acknowledge that their article selection for this review was limited but believe that other literature search approaches would lead to the same conclusions. They also admit that some theoretical constructs like behavioral agency model and SEW were only partially included in their study. They suggest that a robust family firm theory may result in future studies that integrate different aspects of SEW, behavioral, stewardship and agency theories. and see the suggested framework for agency and stewardship research in family firms (Figure 1 ) for a deeper understanding of the linkages between behaviors, governance and firm-level outcomes. Thus, family businesses would be better served if they evolve their governance structures considering possibilities of simultaneous existence of both agency and stewardship behaviors. Family firms need to promote an inclusive organizational culture that empowers and motivates both family and non-family employees. This must be accompanied with a system of adequate checks and balances to prevent abuse of authority. This will build their trust and commitment towards the business and enhance firm performance. Navneet Bhatnagar is a research associate at the Thomas Schmidheiny Centre for Family Enterprise, Indian School of Business, in Hyderabad, India. He can be reached at [email protected].